Since 2003, we’ve been supporting the integrity of Fairtrade by independently verifying that all companies involved in Fairtrade supply chains, beginning with Fairtrade producers, are meeting and maintaining Fairtrade standards. As an independent certifier, the quality and credibility of the Fairtrade certification system is our top priority. Let Us Help Boost Your Credibility! The Fairtrade movement began in the late 1980s, when Max Havelaar, the world's first fair trade coffee brand, made its way onto the shelves of a Dutch supermarket. The brand, named after a fictional Dutch civil servant with a desire to end the ill treatment of coffee workers in Dutch colonies, captured the imagination of people around the world. The core FLOCERT objective: To substantiate the credibility of the Fairtrade mark. The next few years saw fair trade labels spring up across Europe and North America, until the umbrella organisation Fairtrade International (known back then as Fairtrade Labelling Organisations International or FLO) was established to unite the rapidly growing movement. In 1997 Fairtrade International began setting out its global standard for fairly traded products, and certifying the producers that made up fair trade supply chains. 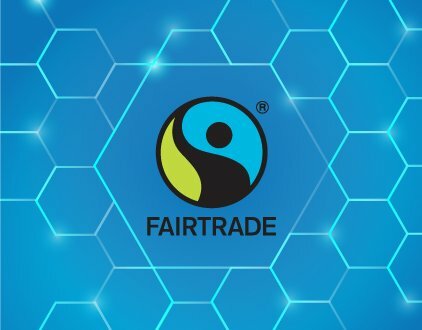 As the initiative grew, Fairtrade International decided that in order to ensure the certification system was consistently independent, credible and of the very best quality, the standard setting side of the organisation should be separated from the arm that assesses and verifies its producers. And so, in 2003, FLOCERT was born. Led by Rüdiger Meyer, a small team of innovators came together to develop a highly robust certification system, with professionalism and reliability at its core. We remain an independently governed subsidiary of Fairtrade International, FLOCERT's sole shareholder. 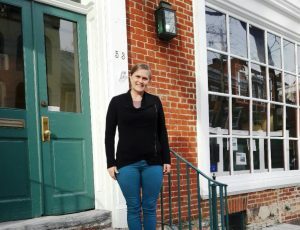 Catherine Dilley, Customer Relations and Account Manager for our US and Canadian customers, runs our new FLOCERT office in the US, nearby Washington, D.C.
FLOCERT began with headquarters in Bonn, Germany. But we didn't stay put for long. Within four years we'd opened offices in Costa Rica, India and South Africa. And we're still growing, with our most recent office having opened in 2017, in Washington, D.C., USA. Today we operate in 120 countries, and our team is made up of around 120 employees and over 100 auditors. We're proud to serve over 4,400 customers right across the world, ranging from small producers in developing nations to large-scale global retailers. We're no longer just a certifier of Fairtrade Standards. In partnership with the Fairtrade network we’re now your one-stop shop for assurance services, able to assess and verify your company's activities. The assurance solutions and impact measurements we provide can be tailored to your company's needs, based on state-of-the-art information services. Our certification processes are completely impartial across all our offices. In recognition of this, we became the first social certification body in the world to obtain an ISO accreditation for our Fairtrade certification services, back in 2007. In 2016 we received re-accreditation against the new ISO 17065, confirming the exceptionally high quality of our services to the world. In 2015 our commitment to social business values was officially recognised, and we were pleased to be accredited as a Social Enterprise. But we've always thought of FLOCERT as a social business. Profits have never been our focus – beyond covering our costs, we've always invested our income into our resources, continuously developing and improving them so that we can provide the very best services and systems to help your business thrive. When a consumer sees the Fairtrade mark on a product they're buying, they can be sure it has been through a supply chain that is responsible every step of the way. On the most basic level, Fairtrade ensures that small-scale farmers and workers in developing countries around the world have the opportunity to earn a sustainable living. An alternative to conventional trade, Fairtrade guarantees that producers receive a minimum price for their Fairtrade products and a premium payment, which they commit to investing into their businesses and communities. Within the Fairtrade system our role is very clear. We carry out independent inspections of producers and traders around the world to verify that they're complying with the Fairtrade Standards. In doing this, we make sure the Fairtrade system remains credible to its core. Contact us if you would like to know more about FLOCERT's history or role in the Fairtrade family! Start your journey to fair global trade now! Would you like to know more about FLOCERT’s role? Or talk to us about the assurance program you envision for your business? Please feel free to share this article.